Before I prepared this article, I had a few questions in mind the most obvious of which was how to get the best dehumidifier for bedroom. You may be aware that you are vulnerable to allergy attacks while you are asleep; especially when your bedroom is too humid. Therefore, the need to keep the air in our sleeping rooms postulates a bedroom dehumidifier. So, why not have a dehumidifying unit that will make your nights as allergy-free as possible? I consulted with Home Depot (My best go-to home improvement store) for the best ideas concerning bedroom dehumidifiers. I was taken through several alternatives which seemed perfect for anyone really. But for an experienced air professional I only picked out the best for you. Read through this review, examine your financial situation, but most importantly analyze your bedroom humidity condition. A bedroom dehumidifier should be a portable and functional unit. You do not want to have a large underperforming unit that will break down in the middle of the night. Sometimes when you lose sleep it never comes back until the next day if at all you have time to lie around. A small portable and effective unit will work best for your bedroom. If you can, get a small dehumidifier for bedroom. With this you can easily move it close to your bed and have a peaceful dry night. Also, go for a dehumidifier that you can afford. 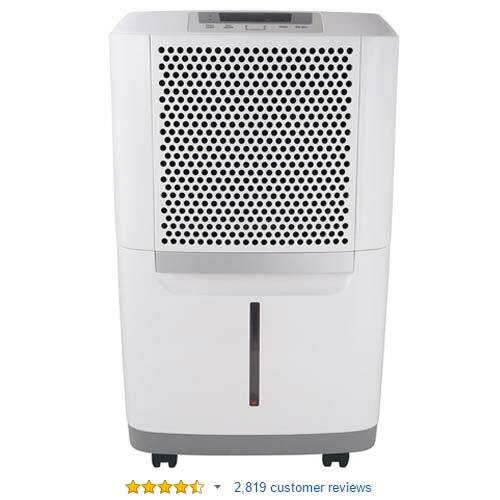 Eva-dry Electric Petite Dehumidifier Edv-1100, White: This petite dehumidifier has received a lot of praise among small bedroom dehumidifiers. Despite its size and its low price, this unit works perfectly for most bedrooms and maintains a relative humidity suitable for a good night’s sleep. It only just costs $56 but it works quietly and just takes but a pinch of your electrical bill. It has a buyer’s rating of 4.0. NewAir AD-250 25-Pint Portable Dehumidifier: This unit is mostly used in bedrooms because it not only dries the air you breathe, but also purifies it. You can get for just $165. It has a carrying handle so that you do not struggle moving it from one corner to the other. You can easily adjust the settings to suit what you want. It gives you a perfect night because you do not have to worry about the condensate tank filling up. This is taken care of with an already set-up continuous drainage system. It has a 4-star rating from over 150 customers. Frigidaire FAD504DWD Energy Star 50-pint dehumidifier is a best seller on Amazon. This unit will dry and freshen your bedroom air. It works efficiently and can be moved easily with its rolling casters and integrated side handles. It is highly recommended if you live in areas that have crazy humidity levels. You can get it for only $188. It also kills bacteria in the air thereby eliminating the possibility of developing allergies at night. It therefore automatically qualifies as best dehumidifier for bedroom.